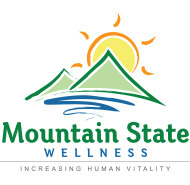 Our practice is committed to providing vitalistic healthcare services and educating our community about the wellness and prevention healthcare model. Every month we offer educational seminars to deepen your understanding about natural, vitalistic healthcare, upper cervical care, advanced nutrition, and purification methods. We also have newsletters, social media sites, and community speaking events that you may attend. Please call our office at 304-292-7740 to acquire the specific dates, times and location of each event. This event occurs in our office and features a 1 hour movie about the Power of Upper Cervical Care! We also offer FREE screenings at the conclusion of the movie. Popcorn and drinks are served. This event occurs at a local restaurant and includes a detailed description of all 3 Steps to Wellness. This event is by invitation only and your ability to attend requires that you bring a guest who is not receiving our care to the dinner! It is an awesome event and because seating is limited, it usually has a waiting list to attend. This event occurs in our office and features a presentation that describes how toxins enter the body, the signs and symptoms of toxins in the body and how the purification program removes toxins from the body. We also offer FREE purification smoothies during the event. This event occurs in our office and highlights the long term benefits of including whole-food supplements into your wellness lifestyle. We will share the health benefits of many super foods to include in your daily diet but also why adding supplements is necessary to minimize your risks of chronic illness. Our doctors are readily available to speak at your community organization or event. They offer a variety of health related topics and will add educational and entertaining value to help make your event successful. Please call our office at 304-292-7740 to inquire about featuring our doctors at your organization or event.